The problem with Facebook is... it's so much fun! It's too engaging. You say you're going to go on Facebook for 15 minutes so you can interact with people and get some exposure for your content and your brand. Then before you know it, you've gotten lost in your newsfeed and you've spent an hour, two hours on Facebook without doing any business building. Is this true for you? I hope so because I can't be the only one who's wasting time on Facebook. This is what I want to talk with you today. I have a solution: to use Facebook friend lists and groups. Why is it a good idea to create Facebook friend lists? What kinds of friend lists should you make? How do you use these lists after you create them? Why should you join other peoples groups? What kinds of groups should you join? How do you get attention whether on your friends' newsfeed or in groups without being spammy? Why do I say it's a good idea to use Facebook friend lists and Facebook groups? First of all of all, Facebook is a social platform, after all. Even if we're using it as a business owner as a marketer then you should still use it as it was created to be, which is a social platform. This means interacting with your friends and interacting in groups. These are two of the best ways to do it on be social on Facebook. The second reason is because of the Facebook algorithm. When you publish a post, your friends on Facebook will not automatically see it. The people who will see your posts are the people who've been interacting with you. The algorithm of Facebook determines who's interested in the stuff you post. So it becomes like a popularity contest, where the posts that more people are reacting to, whether they click on the reaction button or they post a comment or they share that post. Then that post ends up getting more exposure on other people's news feeds. Therefore, you need to get people to interact with you. How do you do that? As with any other social media platform, you have to interact first. 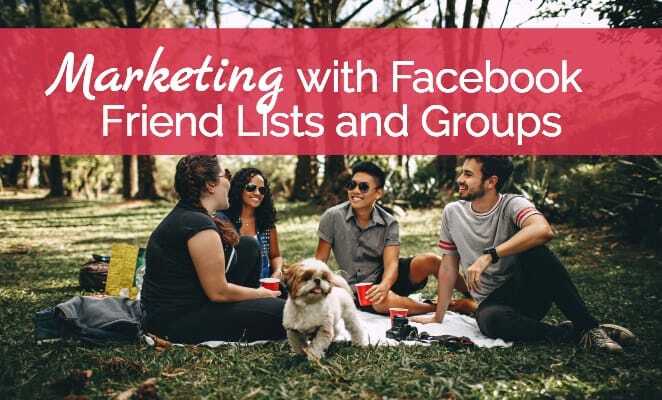 Facebook friends lists and groups will help you to get that interaction going. Now, this is only my theory. I'll tell you more about it later on. It's not proven there's no research backing for this. It's my theory so you will have to test and see how it works for you. The other reason is research backed and this is a phenomenon researchers have found called the "mere-exposure effect." The mere-exposure effect says that the more we are exposed to something, the more we tend to like it and the more we tend to agree with it. When people are exposed to you and your brand often in Facebook, whether on their newsfeeds or in groups, then they're more likely to eventually develop familiarity with you and to know, like, and trust you more as time goes on. ?When people are exposed to you and your brand often in Facebook, whether on their newsfeeds or in groups, then they're more likely to eventually develop familiarity with you and to know, like, and trust you more as time goes on. You want to harness this phenomenon called the mere-exposure effect. Finally, you want to do this because relationships are gold. Some people call it the social bank account, not just in social media but also in real life. It means when you're interacting with people, engaging them, and developing relationships with them, every time you give to that relationship, you're making a deposit in your social bank account. And then when you ask other people for something, then you're withdrawing from that bank account. What I'm going to share with you today is how you keep on making frequent deposits in that social bank account. The key thing is that you need to make these deposits before you need them. Don't go into this thinking, "Oh, I'm going to interact with person a because I want to get this from from them." No, you you start investing in these relationships even if they might never pay off. Even if you've never heard of friends lists on Facebook, you already have them. There are two kinds of lists. The first kind is the smart list. A smart list is a list that Facebook has created for you. You may not even be aware of it but you already have lists of friends in your Facebook account. There are friend lists based on where you live, for example, or your geographical location. You have friend lists based on what schools you've attended, as well as lists of friends who worked in the same places you did okay. You already have friend lists but there's another kind of list and that's the custom list. This is the friend list that you make. I highly recommend that you start creating your own custom friend lists, if you haven't done so yet. 1. The first one is your list of VIPs. These are people whose attention you want to get. You want to be on their radar all the time. Maybe you want to get them eventually as clients. You want to attract them to be your customers or they're influential, they're influencers in your industry. That's why you want them to know about you. These are your VIPs. 2. Next, you want to make a list of your buyers, your existing and past clients, customers who've bought your product or hired you. This is because when someone has already paid you money, you don't want to forget about them. In fact, you want to stay on their radar as well because you might have future products for you to offer them. Of course, you also want them to say good things about you and refer you to other people. 3. The other kind of list you want to make is your list of prospects. These are people who are similar to your clients and customers, but you want to eventually pitch them something. To find your friend lists, go to your Facebook home page, and then on the Left sidebar, you'll see this label, "Friend Lists." As you can see, my friend lists consist of a VIP list, clients list, customers, samples list or people who've gotten samples, prospects, and so on. These are custom lists that I made. The others are smart lists. For example, I worked in the Alzheimer Society previously so I have a smart list of my Facebook friends who also worked or are working in the Alzheimer Society. I also have this smart list of people who went to the same school I did, and a smart list for people who work in the United Nations, which is another place I worked at.I think acquaintances is also a smart list, as well as family and close friends. Facebook has created these smart lists for me. To save time on Facebook, first of all put it in your schedule. Plan ahead when you're going to go in Facebook to work on your business relationships. And by that I mean have a specific time of the day and put it on your to-do list. For example, you can plan to do this at 2:00 p.m. or after dinner at 8:30 p.m. Put that on your to-do list and put a time limit to it whether it's 15 minutes, 30 minutes, or 1 hour. Whatever it may be, just make sure you give yourself a deadline. Set a timer on your phone or your kitchen timer. What I like to do as well is to grab those moments in the day when there is a natural "timer." For example, if I'm waiting at my doctor's waiting room or I'm waiting for my child to finish at the orthodontist. I'm going to sit there and say, "Okay I'm gonna go on Facebook while I'm waiting." I'm not going to be in the waiting room forever. I'm going to get called or my child is going to finish, so I'm going to have to stop at a certain point in time. That's how you can use a natural time limit to to doing Facebook marketing. Go into your VIP list and see the posts of people who are on that list. You're not going to se everything on your regular newsfeed. Instead, you'll see a curated newsfeed and this is a newsfeed only of posts by people on your VIP list, or your prospects, or whoever is on that list. Then you do what you usually do. Go through it and respond to their posts. The easiest way of course is to like or to click on the heart or the wow reaction and so on. But it's not attention-getting. The way to get someone's attention is to post a comment. But don't force yourself to post a comment when you don't have anything valuable to say. Of course, if you want to congratulate the person go ahead and do so. But the more substantial your comment, is the more attention-getting it is. Also, when you post a comment that's meaningful then the other person is most likely to reply to your comment. "When you post a comment that's meaningful then the other person is most likely to reply to your comment." And when the person replies to your comment, guess what? They've interacted with you, they've engaged with you. So, when you post something, they're more likely to see it in their newsfeed. At least, that's my theory. Disclosure: that's my theory. There's no research behind that so I urge you to go ahead do your own testing and see if it works that way for you. But even if it that were not the case, even if my theory were wrong, at the very least because you commented on the person's post then they're seeing your face and your name in their Facebook account. They're getting exposed to you, your face, your name and and, hopefully, you're tapping into the mere-exposure effect. They're becoming more familiar with you, you're becoming a familiar face and name to them, and they're liking you more. And the more they see you, the more you become top-of-mind. Maybe if someone asked them for a referral, then they'd think of you first. You can also use friend lists to post something only people on that specific list will see. This is helpful, for example, when I post things that are only relevant to people who live in my city and the county around me. Maybe I'm talking about a local event and people all over the world don't have to see it. Then I will go on my Windsor and nearby list and I will post there. You can publish a post that's specific to each list. Same thing if my post is about online marketing, internet marketing, or digital marketing. Most of my family will not be interested in that, so I don't have to publish that on my wall for all my family and friends. I can publish it only on my internet marketing list. That's the other way to use your Facebook friend list. Remember to stay natural, even if you're doing this for business. This is a social platform, so be natural. Be yourself. Don't force it. Only post a meaningful comment when it's authentic, it's coming from your heart, and you do mean it. "Only post a meaningful comment when it's authentic, it's coming from your heart, and you do mean it." Don't use others. You want to be interacting with people, not because you need them to do something for you. This is an investment that's long-term and forward-looking. Go into this thinking, "Okay, this may or may not turn out to be something later on that will be good for my business but I'm going to do it anyways. I'm going to give value first and think of ways to help other people." You're going to reap something in the end. It might not be anything directly coming from this person you're giving attention to. Maybe they'll turn into a client, maybe not. Maybe they'll refer, you maybe not. You still want to build on this relationship. Which group should you join? A group is an online community around a common interest. You can join groups because of your personal interests. Definitely, join groups because you're interested in the topic. I have half a dozen groups about sewing because I started sewing again late last year. So I joined groups by my favorite pattern makers and sewing instructors. I have groups around the topic of intermittent fasting because I am an intermittent faster. I've been doing it for years so I want to support people who are new to it. If you want to promote your business then there's other groups for you to join as well. Join groups of your peers. For example, I am a professional blogger and I'm a copywriter, so I do have groups around those topics. You might be thinking, "Why would I join groups of my peers when they are my competitors?" It's true, they could be your competitors. I'm part of groups where there are other copywriters, and they're my competitors as well. But I still want to interact with them, at the very least, I want to find out what they're up to. I want to see what my competitors are doing. But also because there might be opportunities to collaborate. For example, I'm not able to accept a lot of copywriting clients anymore and so I do look for other copywriters whom I can refer people to. I'm having to say no to a lot of projects and, when I do, I want to tell the potential client that I can refer other writers to them because I don't want to leave them on the lurch. I don't want to leave them hanging. So, don't think there's no value in joining groups where the members are your competitors. Join groups where your ideal clients and customers are members. You want to be where your target audience is and you want them to get to know you. This is helpful for a lot of reasons. At the very least, you'll get to know them better, so it's good for market research. You want to know what your potential clients and customers are looking for. You want to know what their problems are. You want to know what solutions they want. Facebook groups are a great place for you to do market research and find problem language, how they're expressing their problems so you can use it in your marketing later on. But more than that, you want to start interacting with them, engaging with your potential clients, and again tapping into the mere-exposure effect. This means you're not pitching your services to them but maybe when the time comes that they do need somebody with your services or with your products, then they will think of you first. Paid groups are groups that are exclusive to people who have paid for a certain training program or a mastermind group. You want to be a part of groups like that because, as somebody who's promoting a product or service, you want to find people who are already spending money. 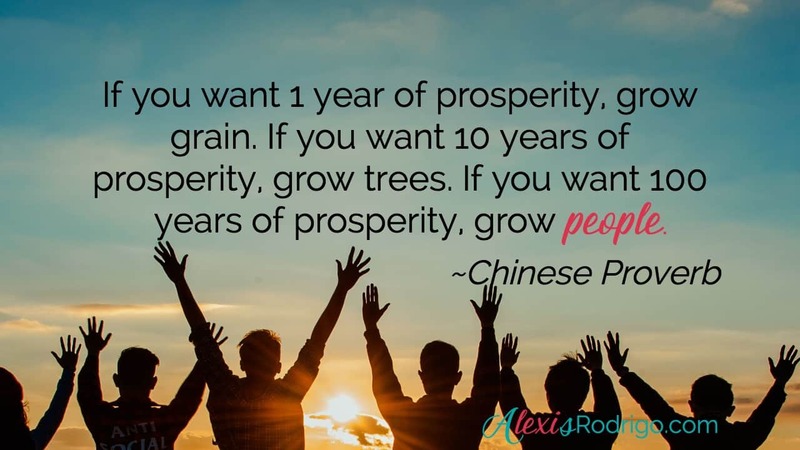 You want to find people who are already investing in themselves and/or their businesses. "Join paid groups to get in front of people who are already investing in themselves and/or their businesses." When you look for groups where your ideal clients and customers are, the best kinds of groups are the ones that are paid. If you're looking for a program to invest in, one of the things to look at is if they have a Facebook group. That's a good opportunity for you to network and meet more of your potential clients and customers. First of all, know the rules of the group and follow them. All groups, especially these paid groups and closed groups, have rules. Even before you join the group, read the rules and follow the rules. Most of the time, you will not be allowed to pitch your product. Again, you have to be willing to follow that. You can still get exposure for your business without pitching, so follow rules. You get exposure by being active in the group. Participate! Usually, when you just joined the group, the moderator will tell you to introduce yourself. Take advantage of this because this might be the one and only opportunity you have to mention your business. If you have an elevator speech for your business, use that to introduce yourself. For example, I could post, "Hi I'm Lexi Rodrigo. I'm a copywriter and I teach business owners and marketers how to get more leads and make more sales using Facebook live." Put your elevator speech in there and then, when there are new members, welcome them. Like I said, the moderator will post something saying, "Hey guys, welcome so-and-so, our newest members." Then do it. Welcome them and and call out their name. Use their name in the comment. Then they will be notified of this, so then they're already seeing your face. As I said earlier, mere exposure will make you more memorable. Answer questions. Usually in these groups, people will ask questions. If you have the answer, feel free to post your answer. And ask questions yourself. The hard thing about managing a Facebook group is keeping the discussion going. When you post your own question and when you answer other people's questions, you're doing the group admin a big favor because you're you're keeping the discussion going. This means you're going to get the attention of the group admin as well. Just make sure your questions are good ones. A good question stimulates discussion. Again, be authentic. Be genuine. Don't ask a self-serving question. Don't ask something like, "I have products A and B. Which one would you buy?" questions that the answers will be of service to other members of the group. You can do many things. You can share tips. If you found an interesting blog post or an interesting video, share the link with the group. When you're participating in the group, participate with the mindset that you want to support others. You want to support the members of the group and you want to support the admin of the group. Be genuine. Be yourself and not self-serving but in the service of others. Don't spam. Do move the conversation to messenger. Sometimes, you'll start interacting with somebody and your conversation moves to a sphere that's not relevant to others anymore. When that happens, feel free to move the conversation in messenger. For example, for this live show that I do every Wednesday at 11:00 a.m. Eastern, I've started interviewing people and I find some of the people to interview in these groups. So then I when I say "Hey, I have this weekly show. Would you be willing for me to interview you?" When they say yes, then I move the conversation to messenger, because other people don't have to be involved. Other group members don't have to be involved in that conversation anymore, so then it belongs in a messenger conversation. Also, when you move the conversation to messenger then it becomes more intimate and you've just elevated your relationship with this person, right? I've shared different ways you grow people in the sense that you're supporting them, you're giving them value and at the same time getting more exposure for yourself and your business as well. Are you doing anything differently in friend lists and groups that I didn't mention? Let me know in the comments!